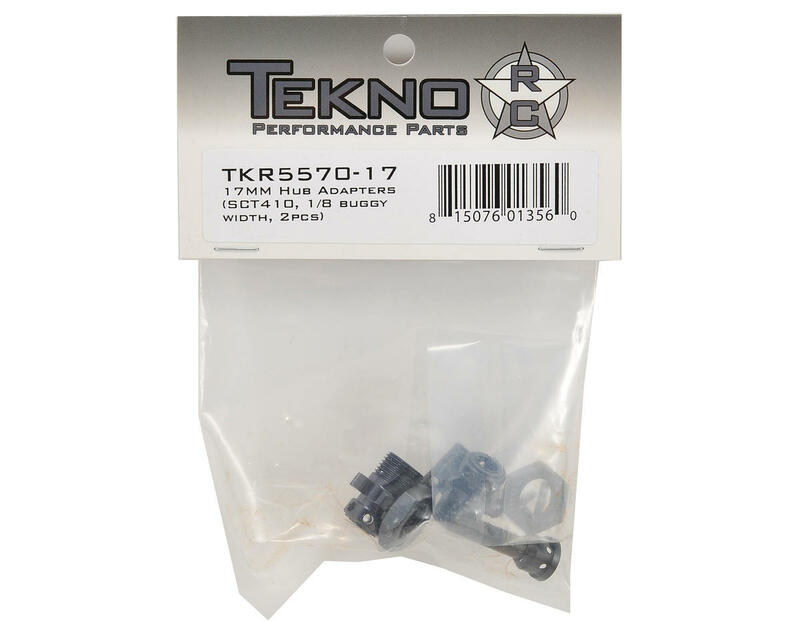 This is a pack of two Tekno RC 17mm Hub Adapters. 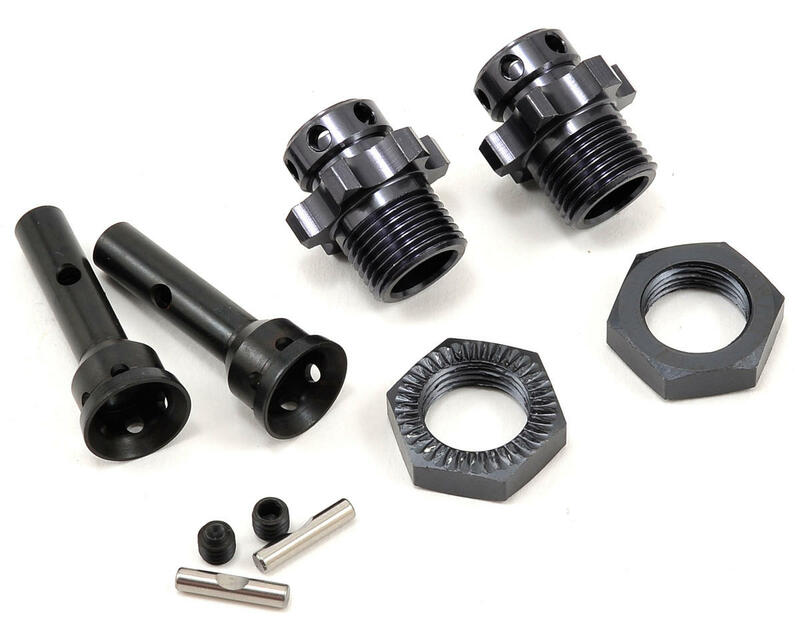 This Hub Adapter Set will allow you to convert your SCT410 into a full spec super lightweight 1/8th buggy! These Hubs are sold in pairs and will require 2 sets to complete the transformation. Used these to convert an SCT410.3 to EB48SL. Quality part, as usual with Tekno.